SISGrass Lite is designed to open up the market to lower league football clubs and professional associations that otherwise would not have the opportunity to experience hybrid pitch surfaces. This latest innovative product has been designed to be cost-effective and to provide a high-quality stitched hybrid playing surface for a new, wider range of applications. In comparison to SISGrass, SISGrass Lite offers shorter stitching depths to cater to a larger target market with different surface requirements. SISGrass Lite has fibres stitched at a depth of 90mm, with 10mm of fibre above the surface. This means the product can be stitched into shallower, partly constructed pitch surface profiles, allowing for variable stitching spacing to meet customers’ requirement and budget. SISGrass Lite offers similar benefits to those of SISGrass. 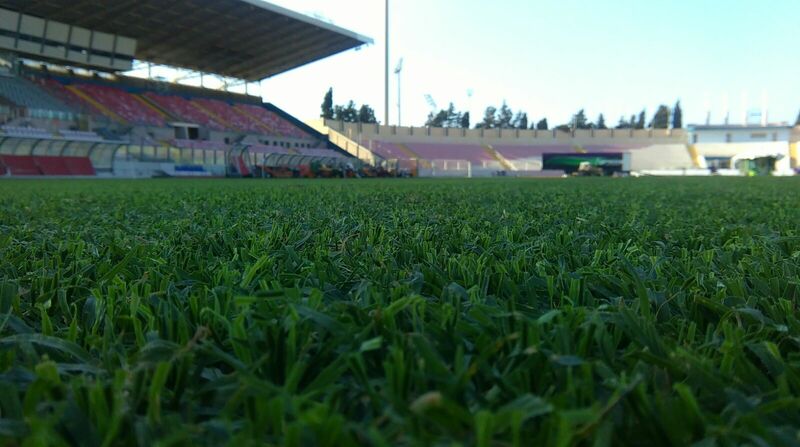 SISGrass Lite is able to assist the root zone of pitch surfaces, giving players confidence to move without fear. What’s more, the product offers stability in some of the harshest micro-climates created by some futuristic stadia. The product can be provided in different colours to suit various sports, such as cricket, football and tennis. A great benefit of SISGrass Lite is that it can easily be removed and replaced with new at the conclusion of its 3-4 year life span. In addition, our product can be renovated on an annual basis.